Panoramic views of ocean and pancake rocks. 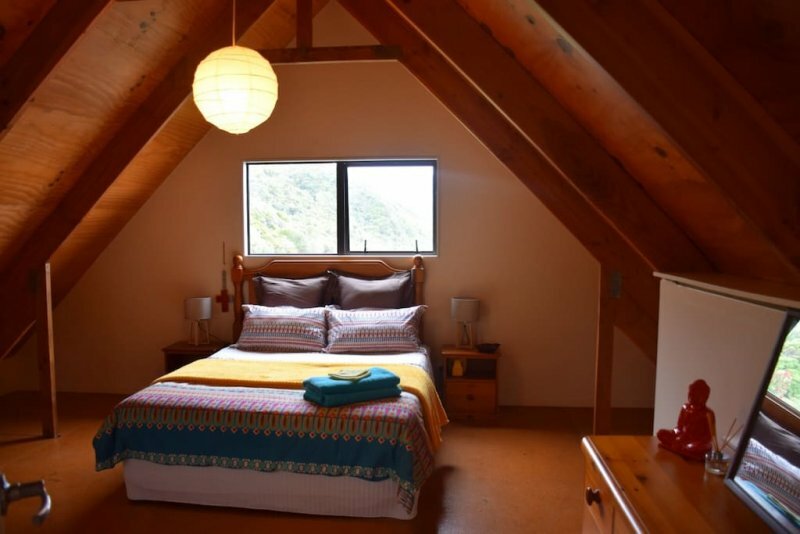 2 bedrooms, 3 bathrooms, Sky TV, computer, wireless & broadband internet, fireplace, laundry, fully equipped kitchen. Outdoor decks with BBQ and surrounding gardens. 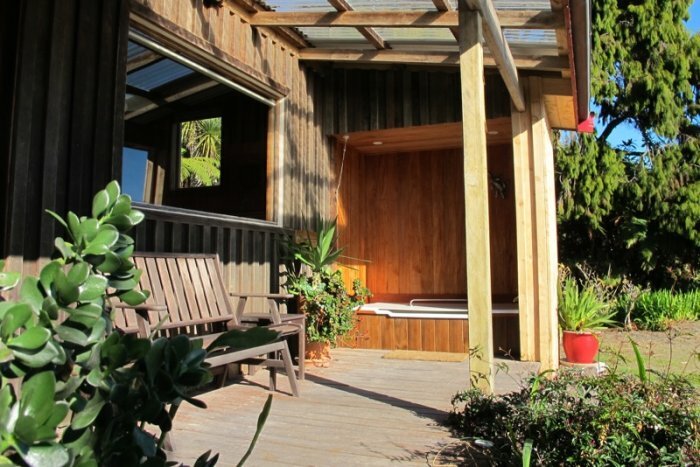 The Punakaiki Treehouse is set in 3 hectares of native bush, close to the beautiful Truman Track. 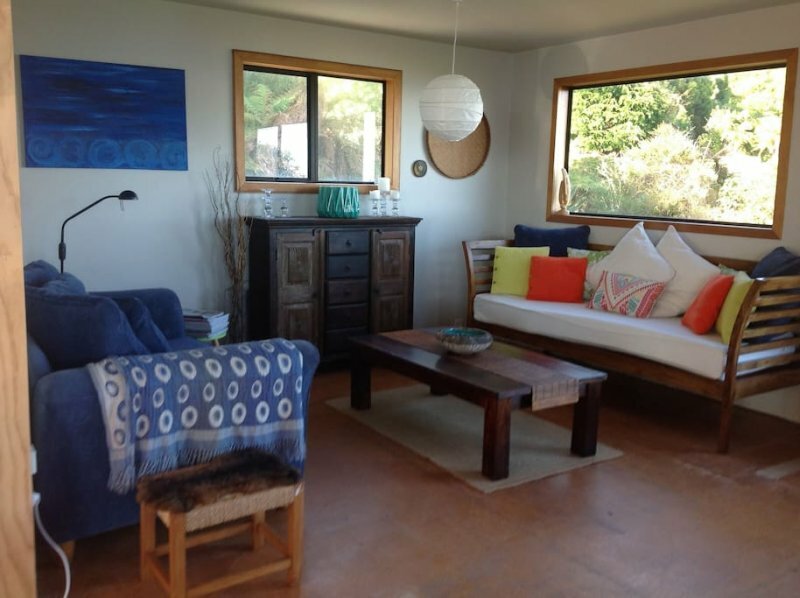 It incorporates two self contained studio units, both with decks overlooking the native bush. 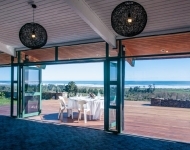 It also houses the Love Punakaiki Luxury Couples Retreat, a two-storied couples retreat featuring a bath on the deck, and a treetop conservatory library. Canopy Camping Escapes has gradually curated a collection of special places of the glamping kind, all lovely, and all off the beaten track. 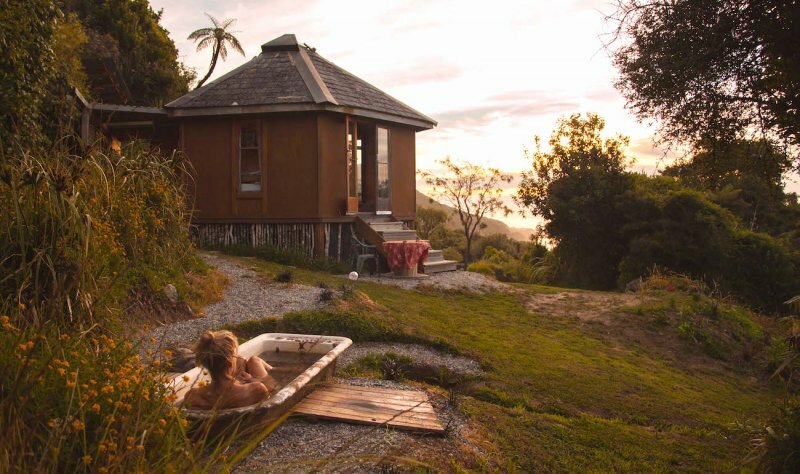 The collection includes beautiful tents surrounded by nature, quirky cabins with packets of personality and secret hideaways that offer something completely unique. 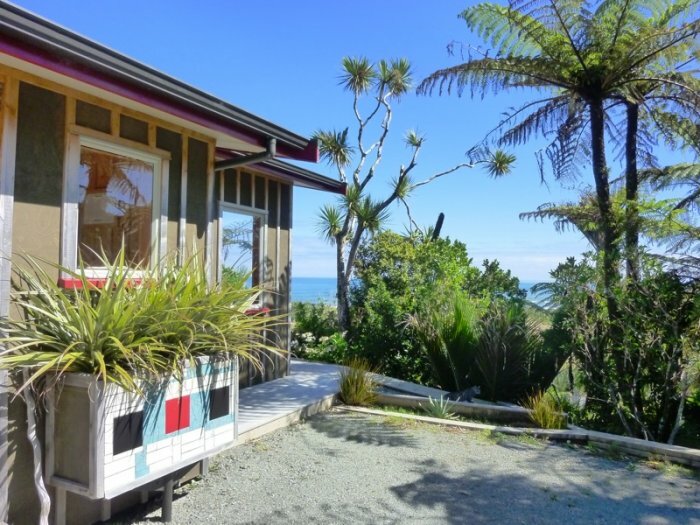 We have two hideaways in the Punakaiki area, both near Fox River. Woodpecker Hut and The Hexagon. 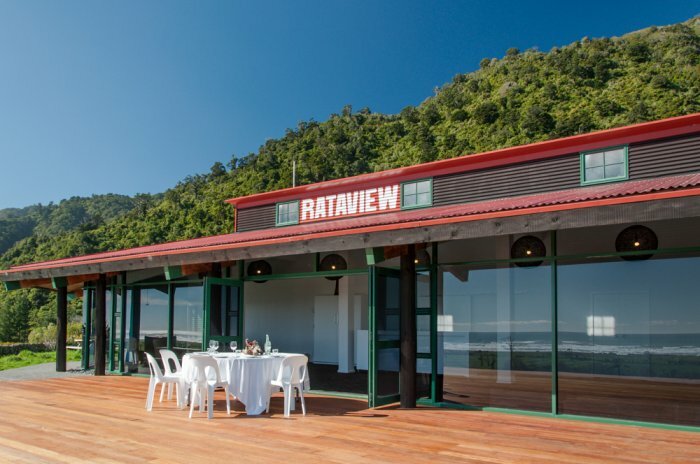 Rataview is a unique wedding and corporate events venue nestled on the scenic Coast Road, with a breathtaking view out over the Tasman Sea that your guests will never forget. 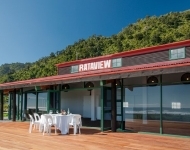 We have modern venue facilities for your event, whether it’s to host your full wedding ceremony and reception, or a special business or corporate conference, Rataview is an ideal venue. 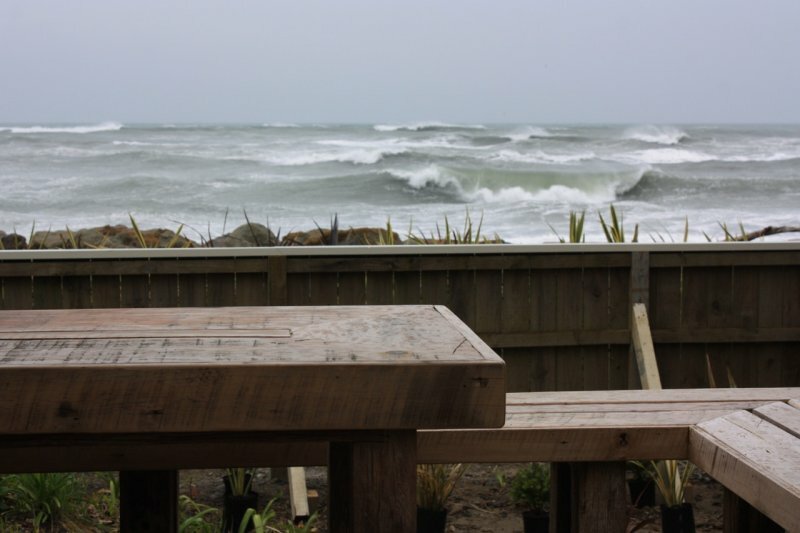 We are 25 minutes drive north from Greymouth. 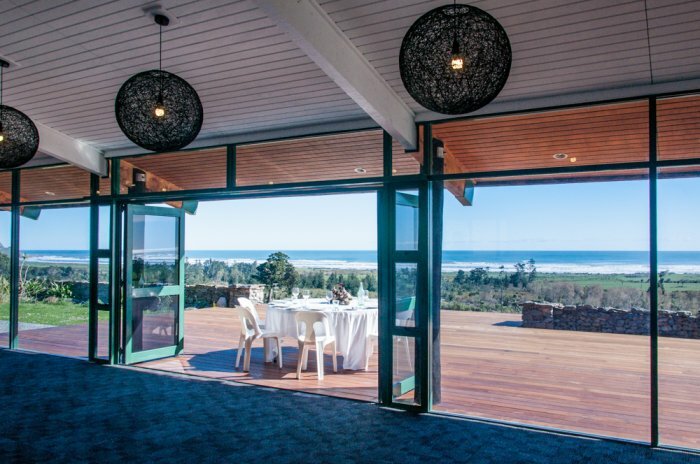 Located on the beach front, backdropped by towering limestone cliffs and with stunning views out over the Tasman sea to the Pancake Rocks. 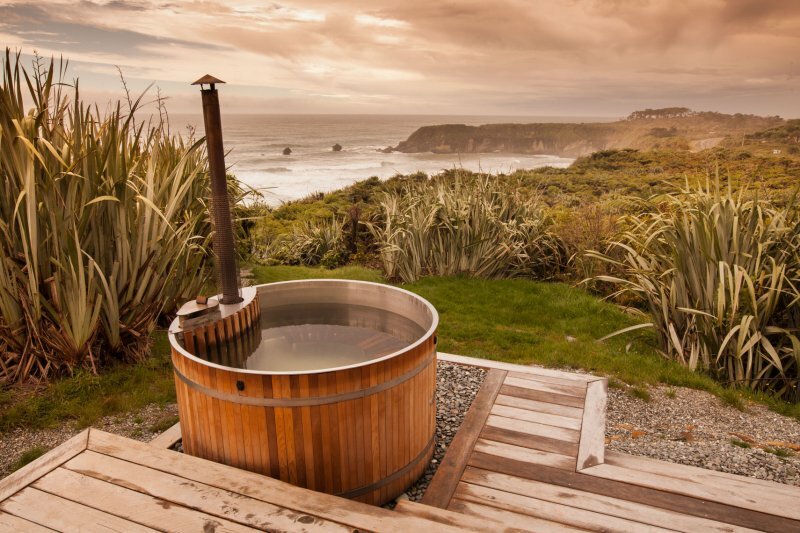 Seascapes is truly a special home, offering the ultimate West Coast experience. Full Wifi and Linen provided. 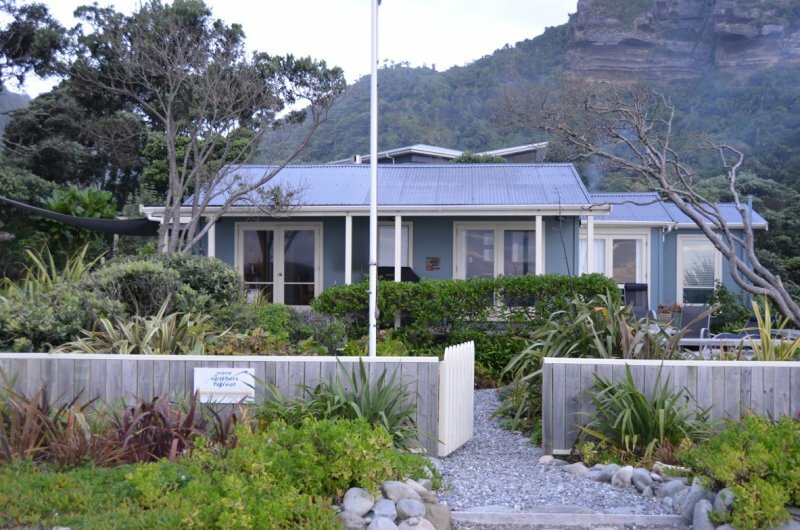 Luxury self-contained house, fantastic sea views, sleeps up to seven people. Flax Haven has 3 bedrooms sleeping up to 7 people. 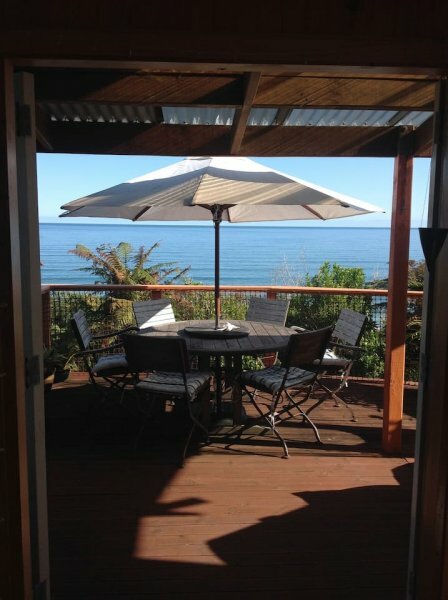 The sea views from Flax Haven are spectacular, being perched high upon a cliff peering out over the rumbling Tasman Sea. Spa pool, BBQ, TV & DVD, linen. 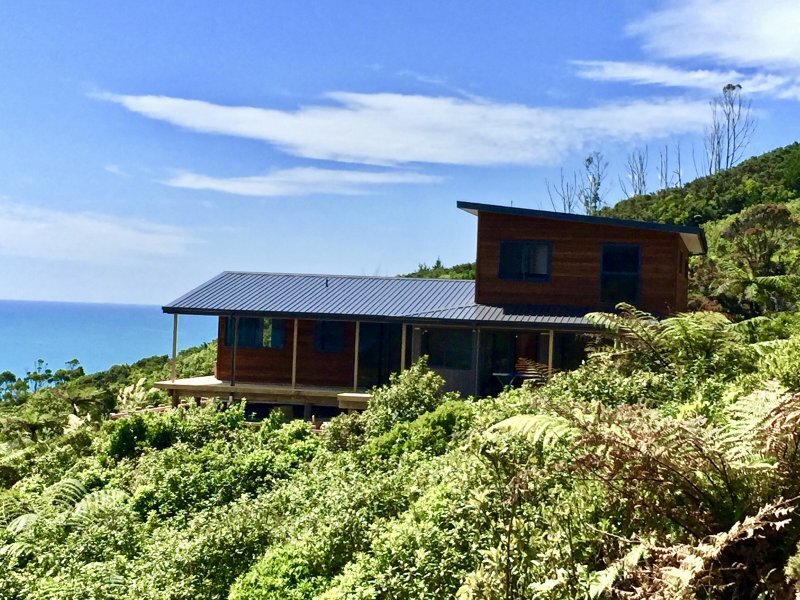 Situated 100 metres above sea level and surrounded by native rainforest, Tasman Sea Retreat sits right beside one of the top five coastal roads of the world (Lonely Planet). A perfect place to unwind in a magical oasis of beauty, privacy and tranquility. 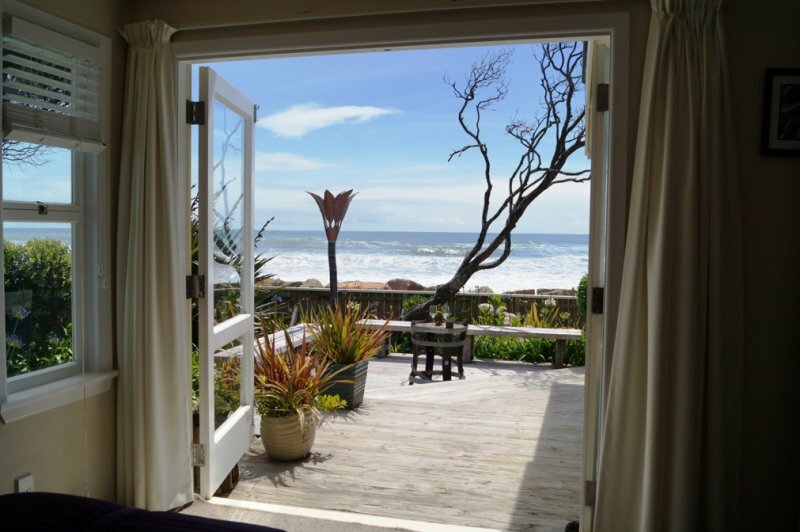 Uninterrupted sea views from the whole property, amazing West Coast sunsets, whales, dolphins, seals and penguins right on our doorstep. Self-contained fully equipped holiday home. Fantastic sea views. Sleeps up to eight people. 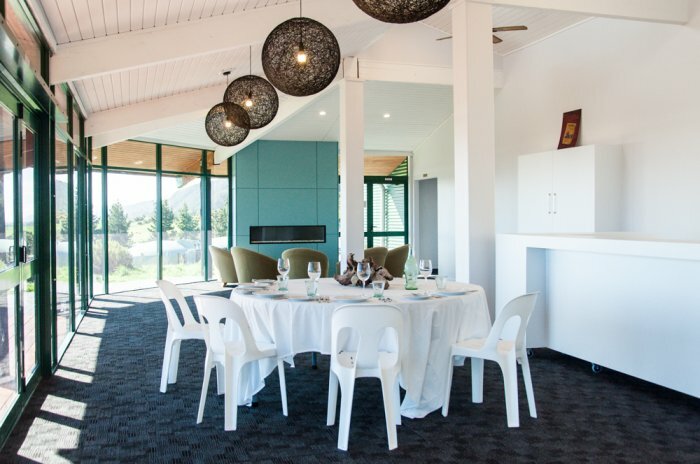 Tairawhiti @ Fox River is the real kiwi holiday house experience. 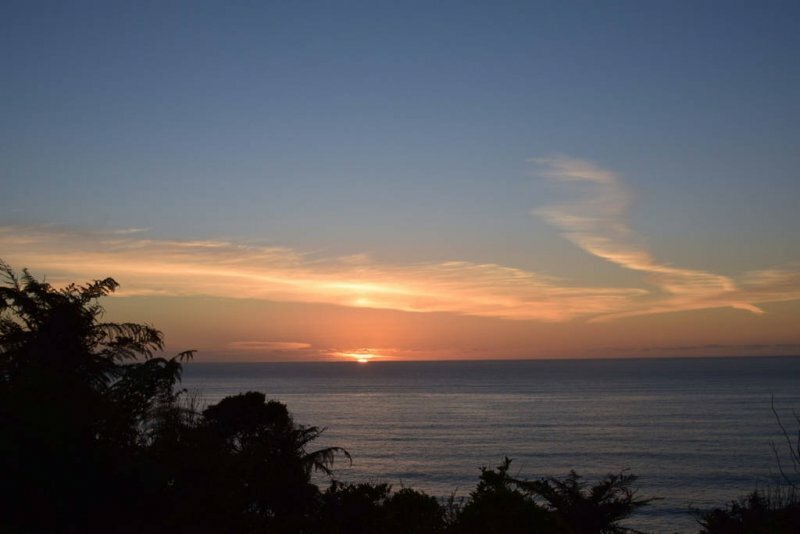 Stunning views of the wild Tasman Sea and sunsets from the bbq deck. Tranquility and privacy. Linen supplied. Log burner. Freeview TV. 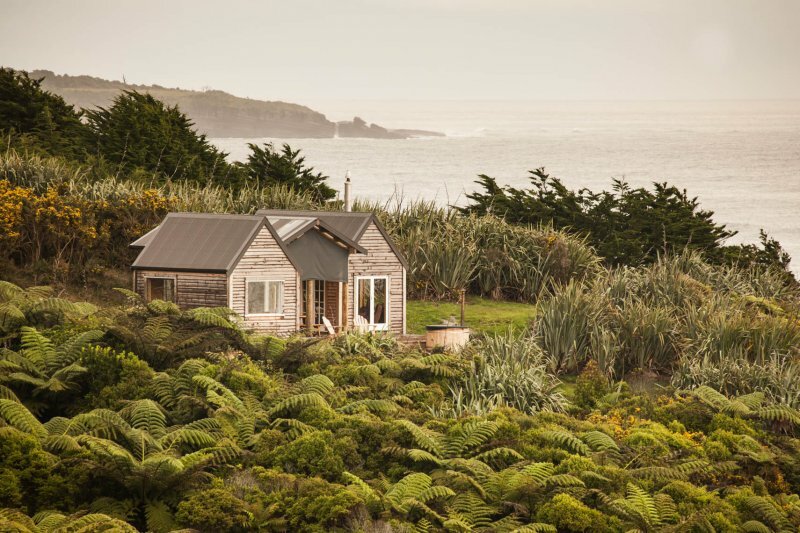 A selection of luxury homes, holiday apartments and traditional kiwi hideaways. For a night or a week, HAVENz offers a great range, if you are travelling alone or in a group we have something to suit your needs. 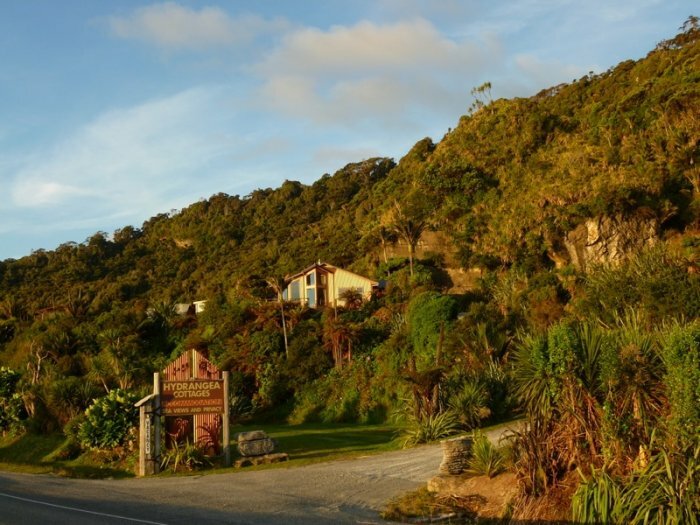 These self-catering holiday retreats are situated in stunning locations with easy access to beaches and the Paparoa National Park. Private, modern, spacious and stylish accommodation. 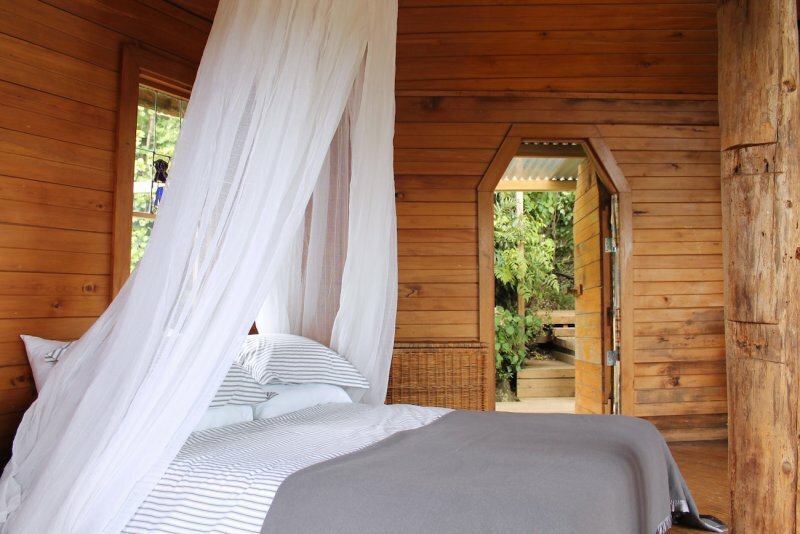 Nestled in a rainforest setting, offering breathtaking sea views. 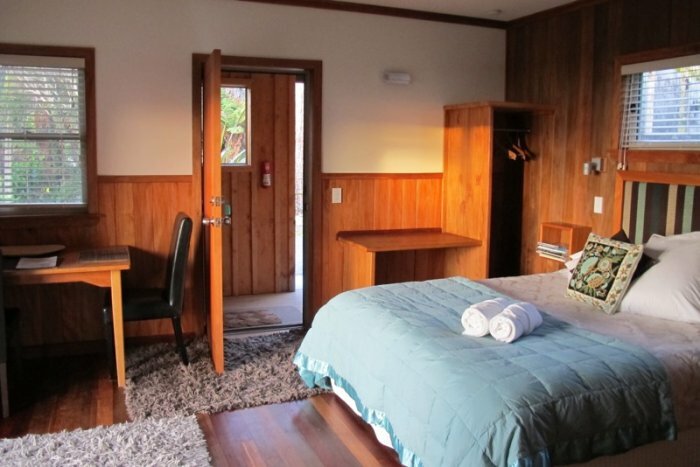 Two studios and family/group suites. Wireless internet available. Stroll to the beach, river and the Pancake Rocks. 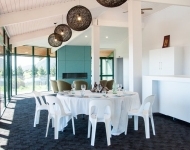 2 x Luxurious private self-contained holiday homes. 3km North of Pancake Rocks. 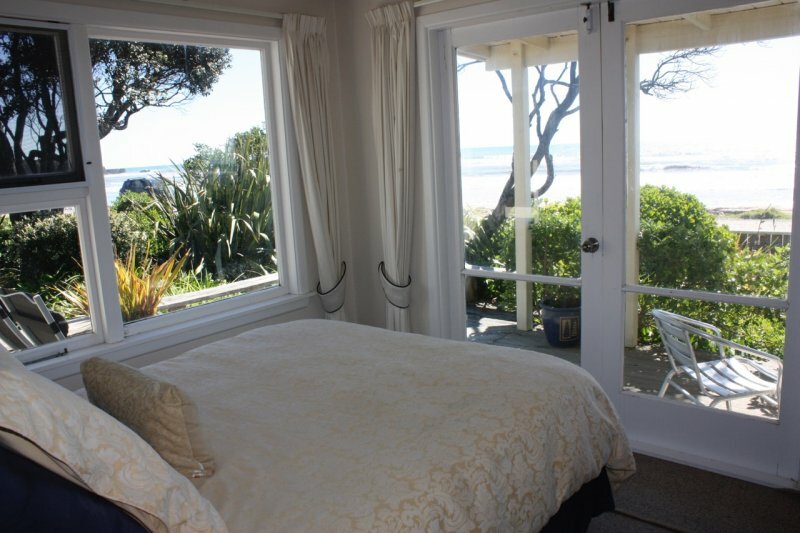 Spectacular beaches and forest walks minutes from doorstep. Stunning views of Tasman Sea and National Park. Linen supplied. Continental breakfast available. Wi-Fi.